Among the loose photographs in the Welsh album is this one of a beautiful young lady wearing a pearl necklace. It always makes me stop and wonder who she is. Taken by J E Purdy & Co. of 145 Tremont Street, Boston, it dates to the 1920s but unfortunately there are no other clues. 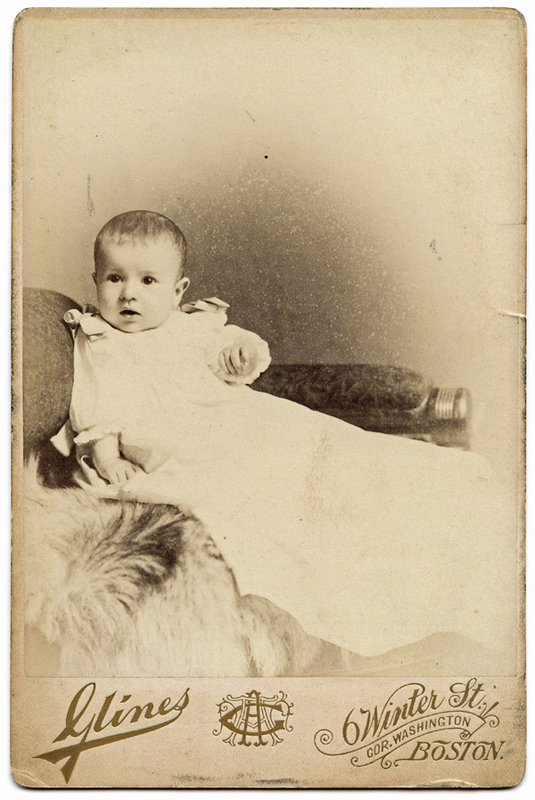 It is presented in a brown folder with the photographer’s name written ornately on the front. 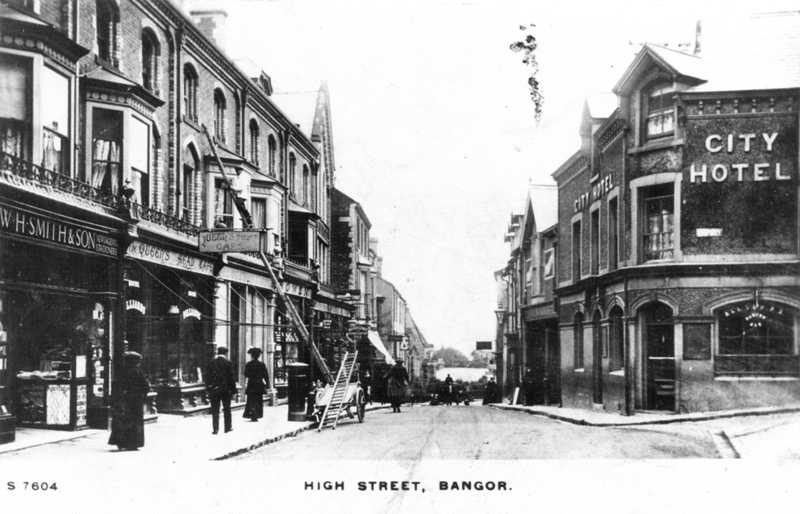 Both of these photographs are copies, not originals, meaning that someone thought enough of the town of Bangor, North Wales, to want them and keep them. Perhaps they brought back memories. I will keep digging. 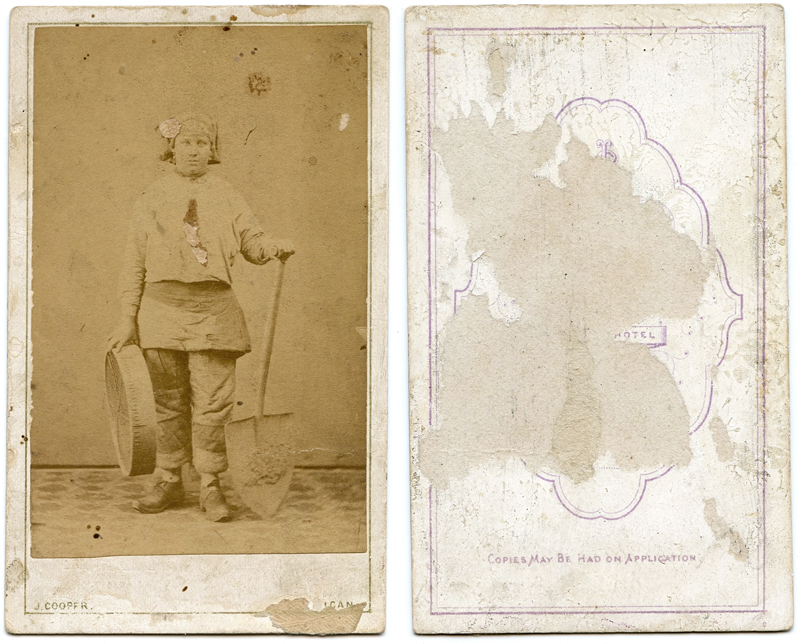 Continuing the theme of occupations, this carte-de-visite puzzled me at first. It’s dog-eared appearance did not offer many clues, but persistence paid off; it is the image of a pit brow lass or pit brow girl. During the second half of the 19th century, and as recently as 1960, female workers were employed by collieries to work at the surface of the coal pit. Their job was to sort through the coal, pulling out stones and separating the coal from dirt. The women generally stayed in the job from the age of fifteen into their early twenties, and while it is easy to imagine the task as heavy and dirty, an account by Frank Hird in 1910 records that the women themselves would dispute that it was ‘hard work’. They must have been made of strong stuff! It seems somehow appropriate that these two photographs are as scratched and faded as they are, given the nature of the work being portrayed. 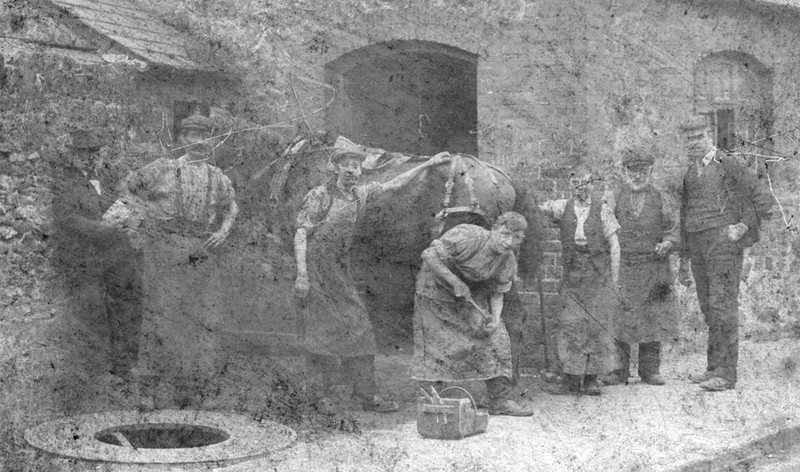 It must have been quite an event, to pose for the photographer while daily life as a blacksmith was being recorded for posterity. Both images were loose in the Welsh album. 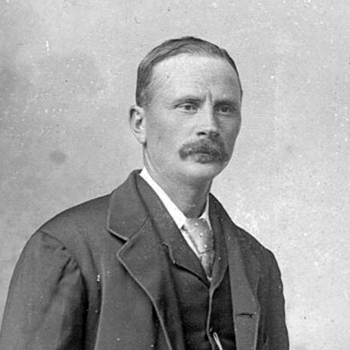 The man in the doorway of the second photograph reminds me of the portrait below, from the same album. Another connection, perhaps. What do you think? 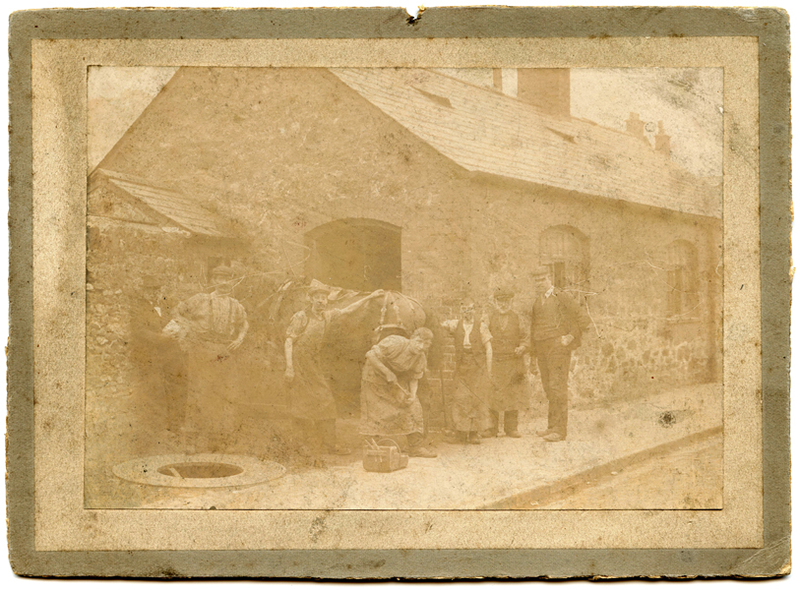 The card was sent, perhaps to the owner of the Welsh Album, by Willie Owens, Waquoit, Mass, USA. Unfortunately I have been unable to add any further information since my searches have all reached dead ends, so for now Willie Owens will remain a mystery! Maria by Dore & Co. I have mentioned before that the Welsh Album and it’s photographs are ‘grubby’; I like to think they have been well loved and that is the reason why. 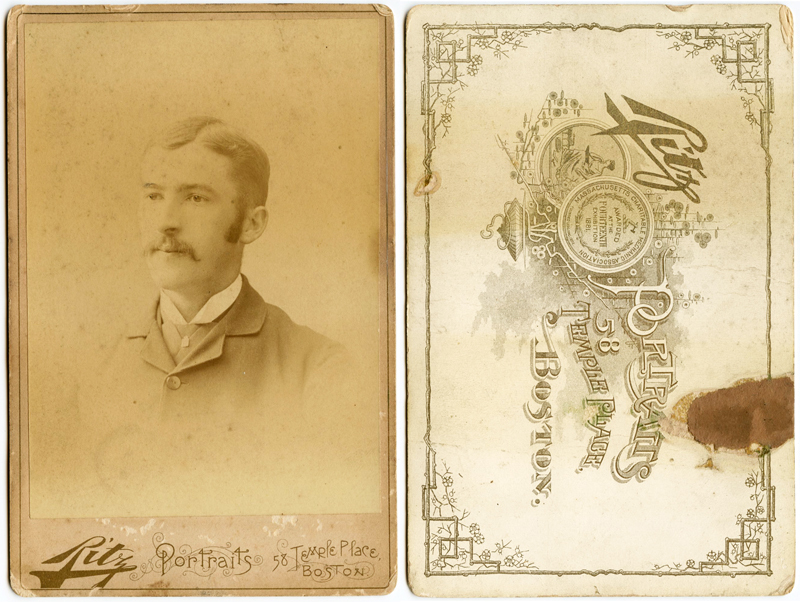 This carte-de-visite is no exception. It was taken by Dore & Co. (formerly Austen & Co., according to the information on the reverse), and the woman is identified on the album page as Maria. Although I have not found any details of the photographic studio, various entries from the British Newspaper Archive provide a brief history of 232 Mare Street, Hackney. In 1869 it was listed in the rental columns, at a rate of £42 for 10 rooms. In 1880, there was a fire at the address, which fortunately was described as ‘very small’ but no other details were given. 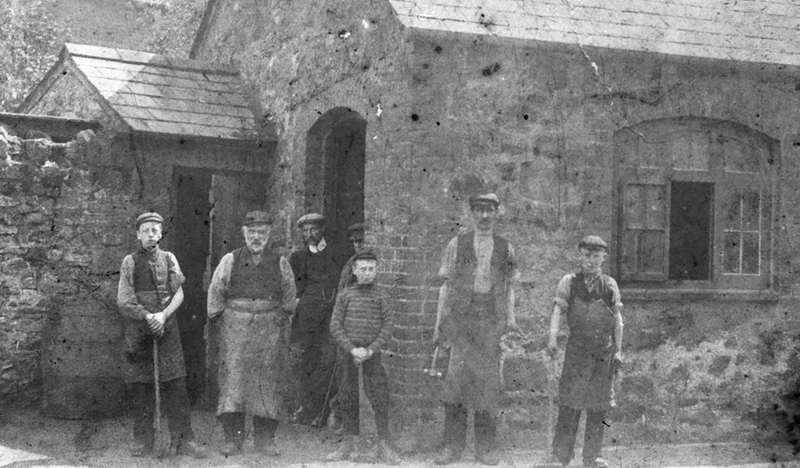 And in 1892 it was being used as a polling station for the County Council Elections. Sometimes it is worth searching for addresses as well as names, although none of this tells me who Maria is! 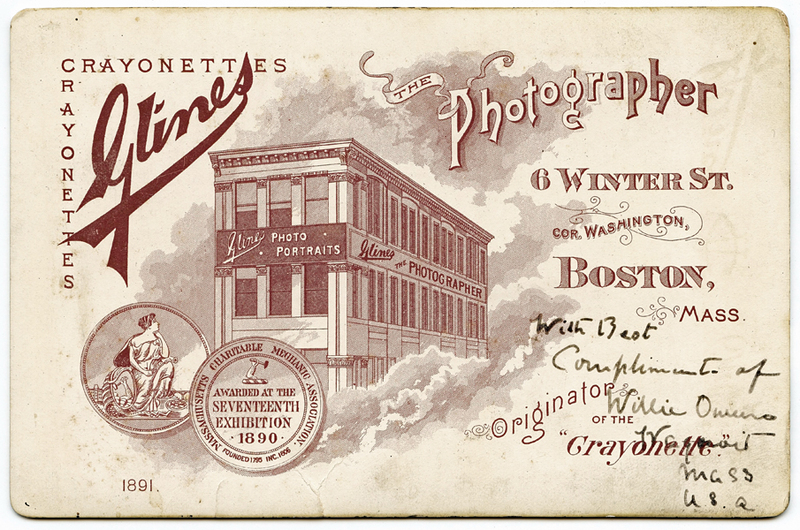 The above photograph is a tintype, about the size of a carte-de-visite. Scanning it has brought out a lot of detail that cannot be seen on the original, and I particularly like the Bowler hats and casual pose. 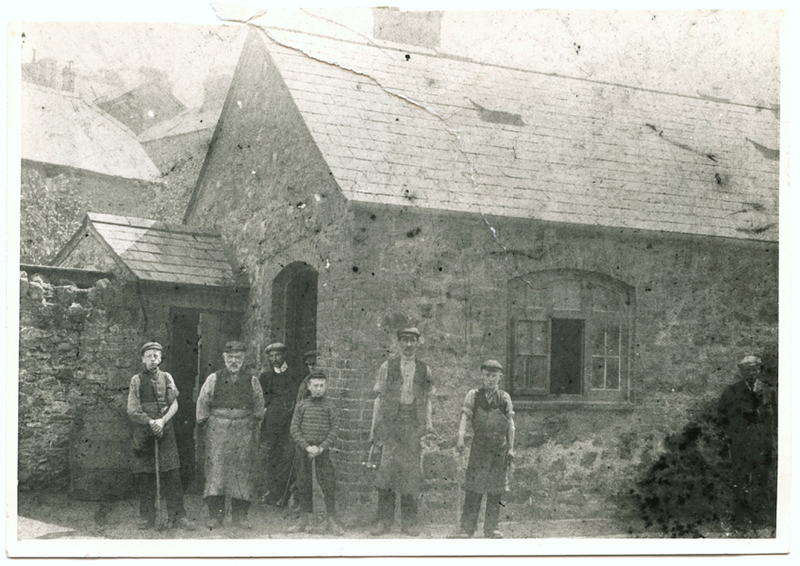 The man on the left is labelled (in the album) as ‘Uncle Wm’, but try as I might I haven’t been able to find a likely connection to any of the other clues contained in the Welsh Album. I keep thinking that the tintype might have been taken at the moment when Uncle William arrived on the shores of a new Country. According to information on the internet, the Adelaide Photo. 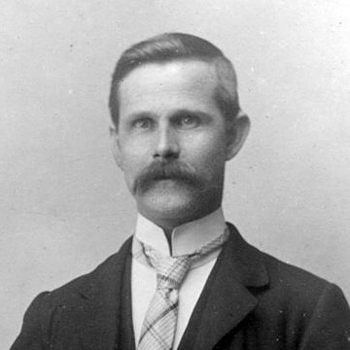 Co. existed from 1892 to 1912, and there are various entries on the Australian passenger lists for a seaman/men named J McRae. I have yet to establish a firm link though. One of the wonderful but nevertheless frustrating things about the photographs in the Welsh Album, are the number of likenesses between people. Sometimes it might actually be the same person, or sometimes just a close relative, but unless one or other photograph is clearly labelled it is hard to establish the relationship. 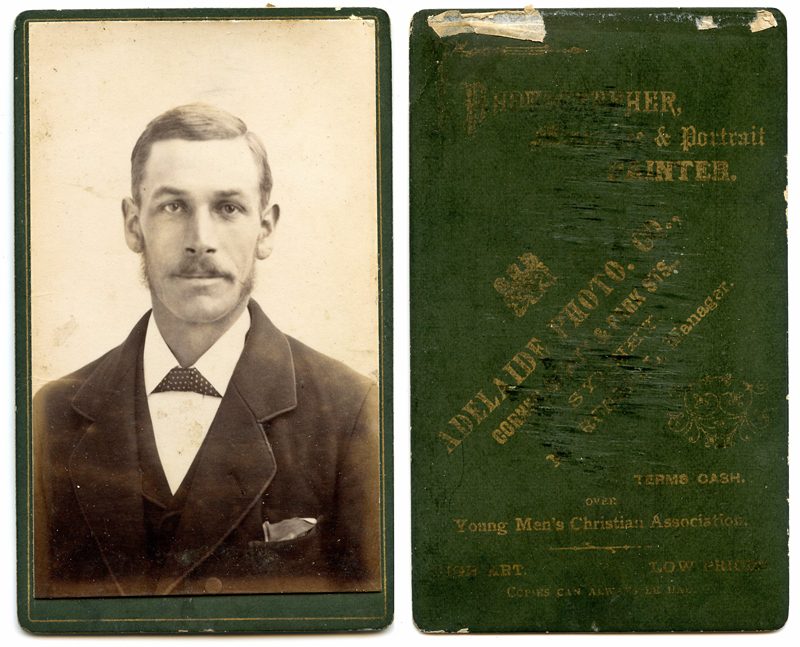 Take the gentleman on the cabinet card in my last post (Aunty Jane). 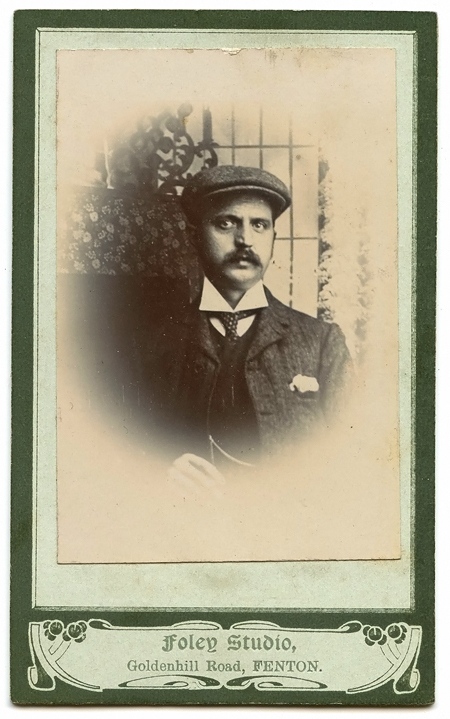 On the opposite page is a carte-de-visite of a similar looking man who appears to be some years older. There’s no identification though, just the position of the photographs in the album hinting at a connection. Brothers? Cousins? Or perhaps the same man? 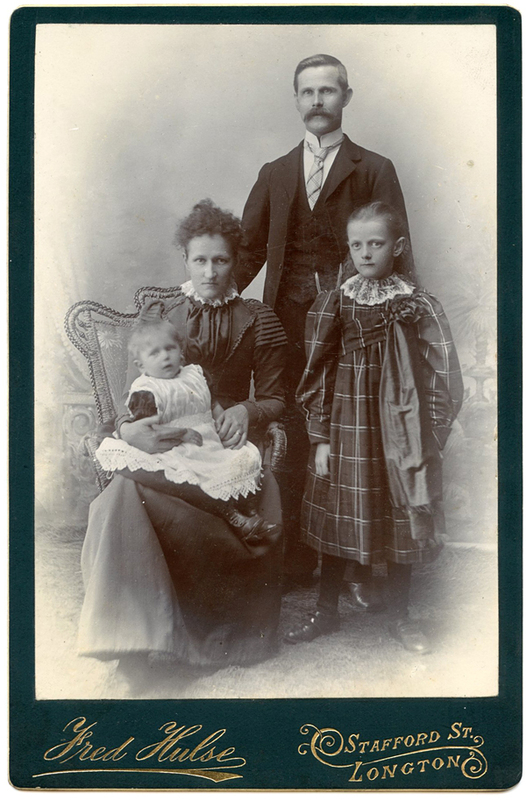 This wonderful cabinet card from the Welsh Album caught my attention immediately. 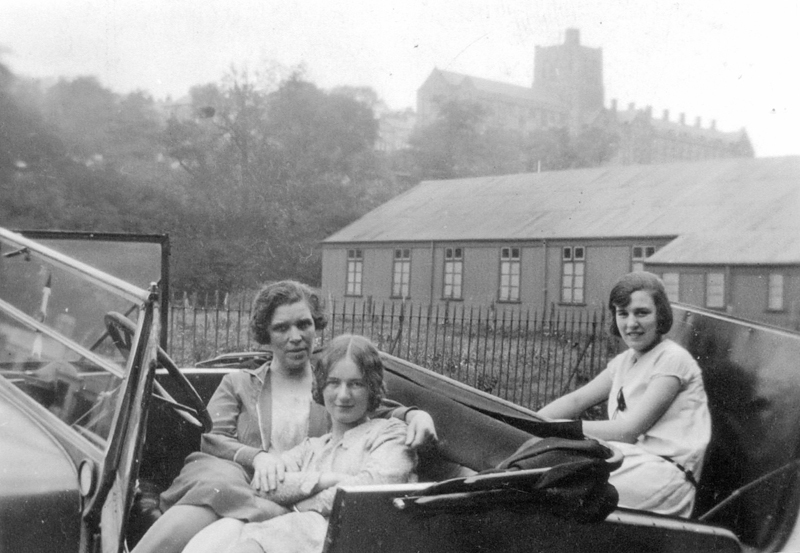 It was taken in Longton, Staffordshire by photographer Fred Hulse. This probably deciphers as Chwaer Anty Betsi Jane Scubor Ddu, with chwaer being Welsh for sister . According to friends on the Rootschat forum, it could mean that the woman is the sister-in-law of A(u)nty Jane. So who is Betsi? Where is Scubor Ddu? And was it Jane or her sister-in-law who lived there? 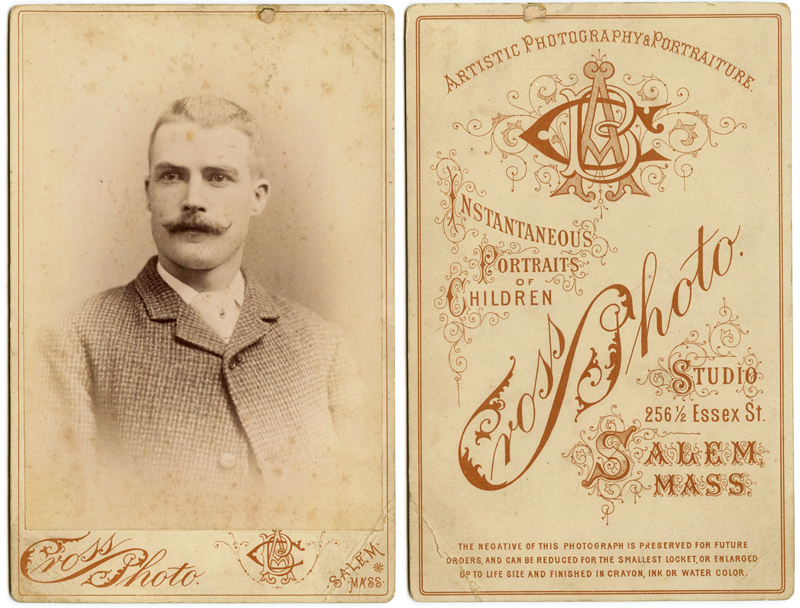 This begs more research… and underlines the importance of labelling photographs clearly! 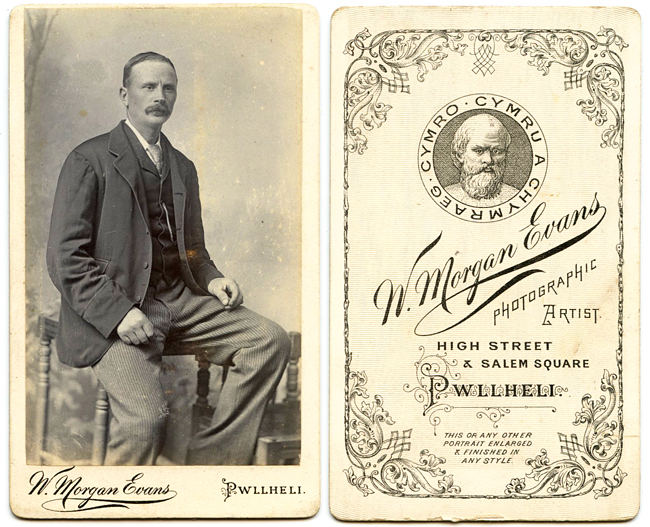 The first two cabinet cards in the Welsh Album depict men with moustaches, something of a craze with Victorian men. Apparently by the late 1800s a full beard was seen as old-fashioned, the younger generation preferring to wear a ‘tache instead. 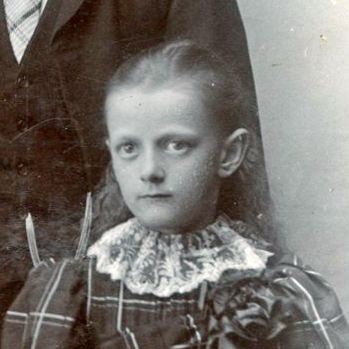 There are several photographs in the album that point to a connection with North America. The upper portrait, taken by Andrew B Cross, probably dates to the 1880s. The lower portrait can be dated quite precisely; Ernest Ferdinand Ritz was a solo photographer from 1884 until the date of his death in 1890. More information can be found in the 1889 edition of Illustrated Boston.